A natural environment, a refreshing plunge in the pool and some delicious food on the grill ... the ideal recipe to relax! La Moulinal offers 4,4 acres of space and hence a lot of privacy for both houses that are located at a distance of about 40 meters from each other. The property features beautiful centennial trees that even on the hottest summer days offer some welcome shadow. One of the joys of a great french summer is a refreshing dive in the large south oriented swimming pool (6m by 12m), with an easy entrance via the roman staircase and off course the pool is also protected with an alarm. The pool is at the disposal of both holiday houses. There are plenty of sunbeds available and the terrace and lawn around the pool offer plenty of space. For the warmest days there is also a gazebo overlooking the pool. The pool can be illuminated at night, which creates a moody atmosphere that may tempt you to a nighttime dive on sultry summer nights. After swimming the pool can also be covered. 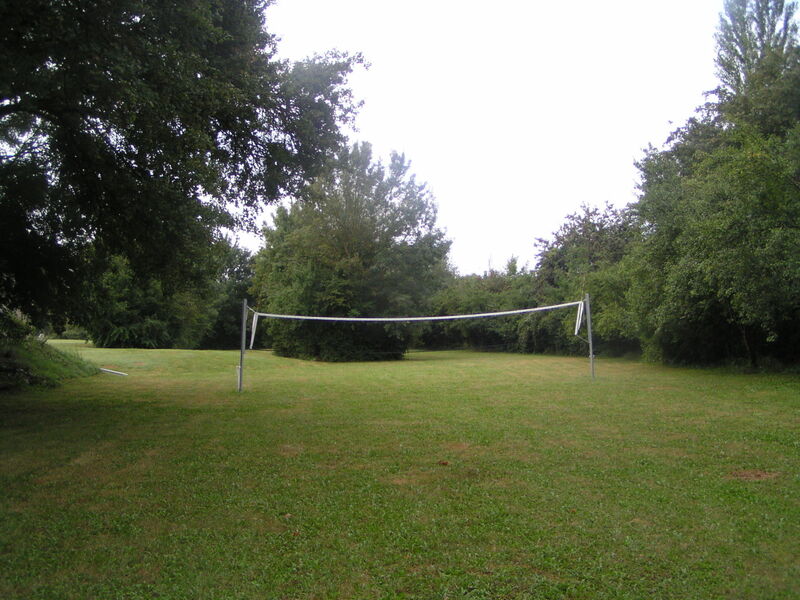 The property also features a large soccer field with goal, a volleyball field, a swing and a ping-pong table, often a favorite of our guests. 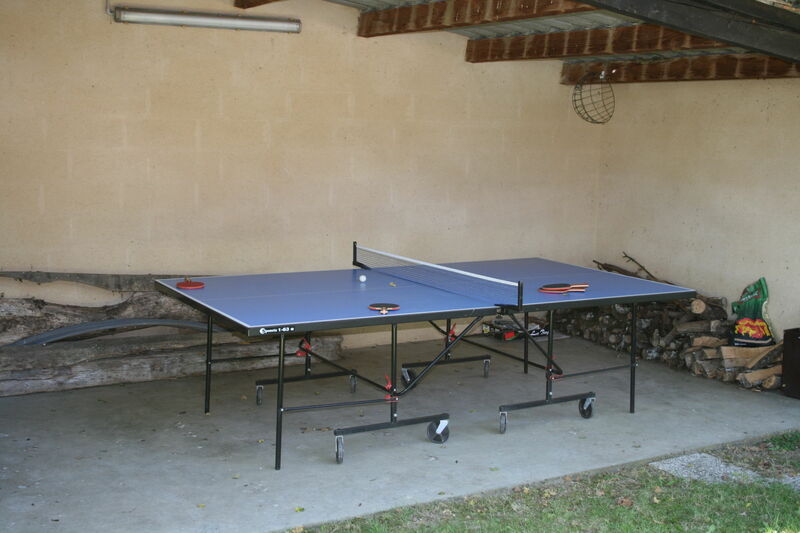 The latter is under cover so that even on the occasional rainy day, the ping pong tournament can continue! 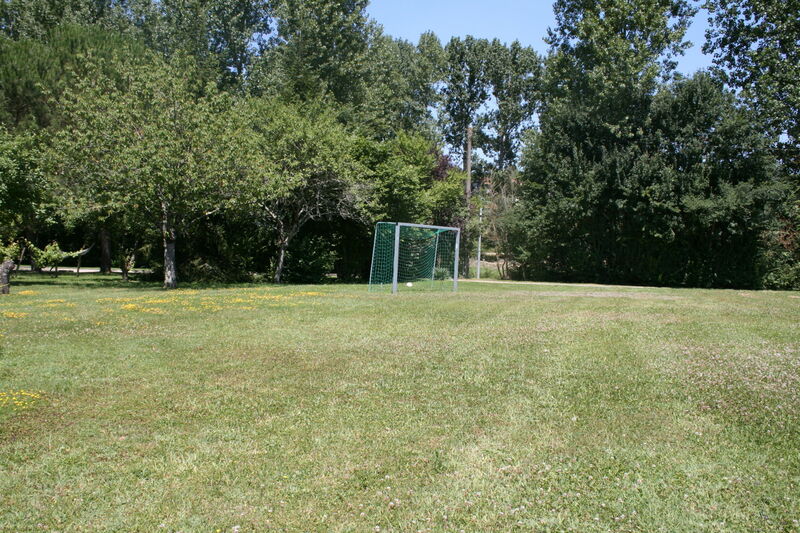 The domain is very quiet, surrounded by meadows and nature. Yet the nearest village, Castillonnès, is only 4 km away. In Castillonnès is a supermarket, and there are several bakers, butchers, restaurants, pharmacists, doctors and a weekly market on Tuesday. 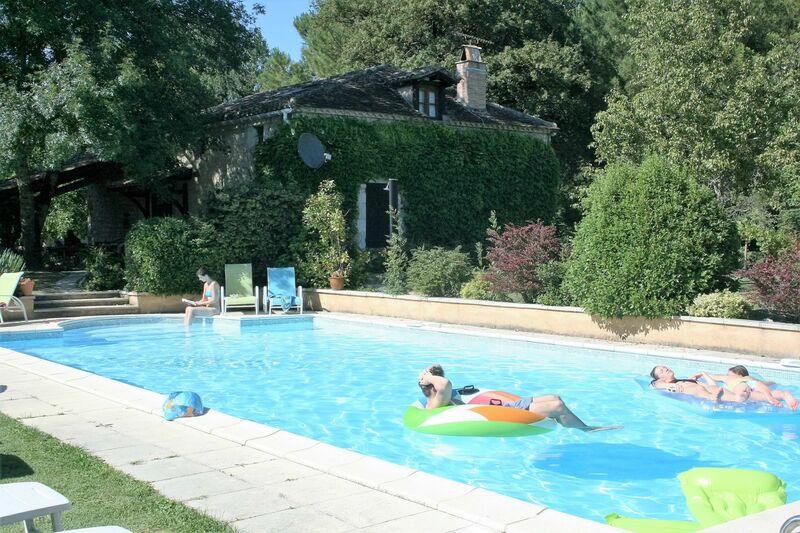 You can rent 'maison d'Isabel' and 'maison d'amis' separately or together with several families or a group of friends. The kitchen of 'maison d'Isabel' is sufficiently equipped for 14 people. The large covered terrace of 'maison d'Isabel' has a table and chairs for 14 people. 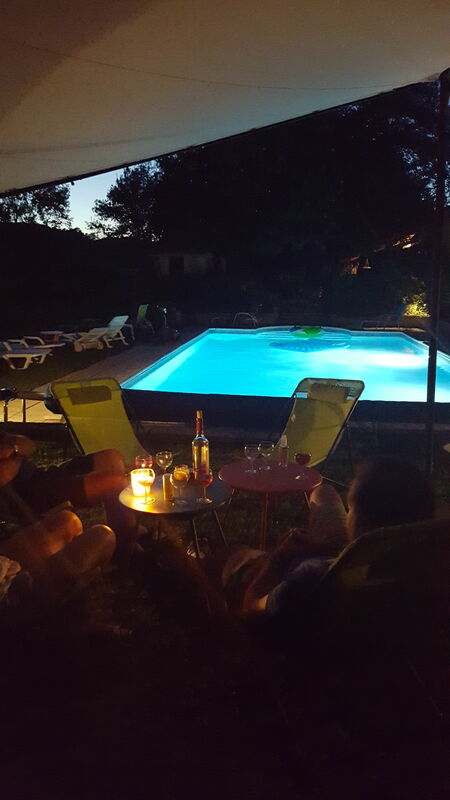 Do you have something special to celebrate with your family or friends, La Moulinal offers the perfect environment.